Downing Street has announced the name of the second best Bishop of Sheffield. The Queen has had her mind changed on the matter. The Crown Nominations Commission had the name of the Very Rev’d Dr Pete Wilcox in reserve, in the unlikely event of anything happening to their first choice, such as his being run over by a bus, or hounded out by a progressive mob of illiberal liberals, or something. Philip North heeded the advice of Martyn Percy to put integrity above vocational ministry, and that leaves Sheffield with Pete Wilcox. It seems awfully uncharitable to refer to Dr Wilcox as ‘second best’. He is, after all, a learned and gracious man of God; a true and faithful servant of the Lord, with a heart for biblical scholarship and urban ministry. He isn’t second best to God, but he is inescapably the CNC’s second best for Sheffield: their election very publicly lighted on the name of Philip North; he was their manifest preference. Pete Wilcox is therefore the Queen’s second choice. When Downing Street announced: ‘The Queen has approved the nomination of the Very Reverend Peter Jonathan Wilcox, Dean of Liverpool, for election as Bishop of Sheffield”, she did so just a few weeks after approving the nomination of Philip North. But.. well, he decided to follow the advice of Professor Percy and reflect upon the meaning of integrity. 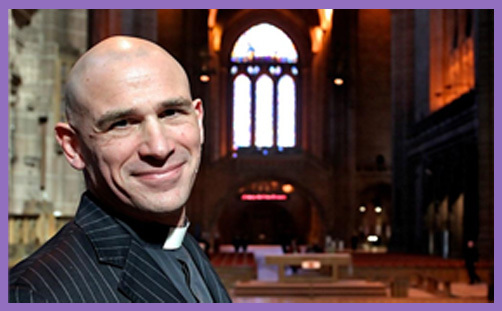 Pete Wilcox is presently Dean of Liverpool Cathedral, where he succeeded Justin Welby in that role. He is of sound academic stock: St John’s College, Durham; Ridley Hall, Cambridge; St John’s College, Oxford (DPhil: ‘Restoration, Reformation and the progress of the kingdom of Christ : evangelisation in the thought and practice of John Calvin, 1555–1564’, which sounds very sound indeed [1564 forms part of his Twitter handle]). He lectures in Old Testament studies at St Mellitus College. He rests on the Evangelical wing of the Church of England (though not averse to certain Catholic traditions), and is ‘sound’ on the ordination of women (which will doubtless delight.. O, never mind). Pete Wilcox has no sense of his being second best. John Sentamu has no sense of Pete Wilcox being second best. Philip North has no sense of Pete Wilcox being second best. And that is why Philip North would be the best choice for any diocese.